Remember that scene in Sliding Doors where Gwyneth Paltrow ends up living 2 parallel lives? Two lives yet she is unable to express emotion in any of them. In fact her short-blond hair out acts her in every scene. Well in my parallel life I’m swooning around my Palm Springs Desert house dressed in a bright green kaftan and serving cocktails by the pool to the fabulous people that I’m entertaining. I don’t know if it’s because I grew up watching Jerry Lewis, Dean Martin and Lucille Ball on television- but I’ve always loved that Californian glamour that Palm Springs evokes. Palm Springs is in the Coachella Valley (home to the festival of Paris Hilton and other really important celebrities) and surrounded by mountains and deserts. It became a favourite getaway for Hollywood stars during the 1900’s. Imagine Frank Sinatra, Dean Martin and the rest of the Brat Pack talking movies in their leopard loafers and smoking cigars. 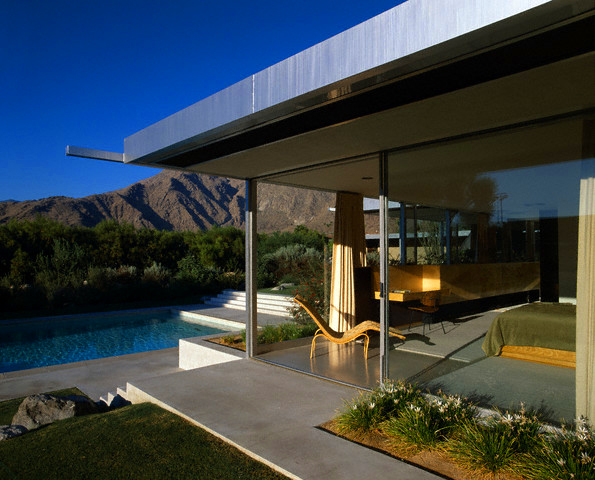 One thing I absolutely adore about Palm Springs is the architecture. 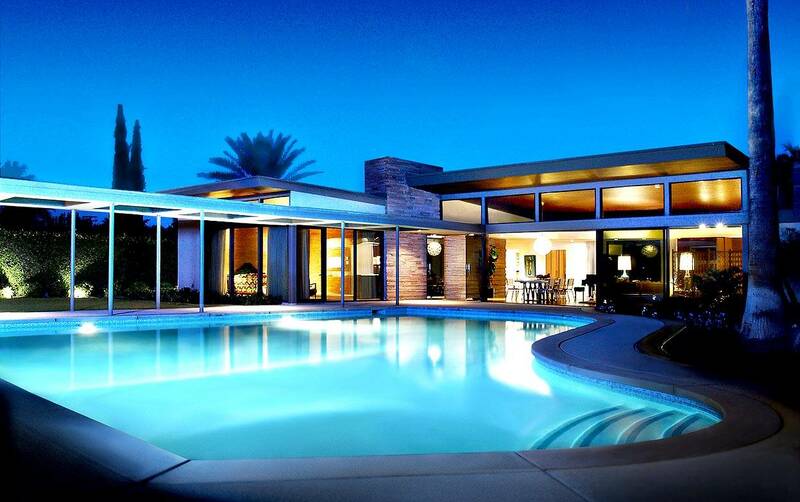 The desert is a mecca for Mid Century homes. In fact it’s like a museum. 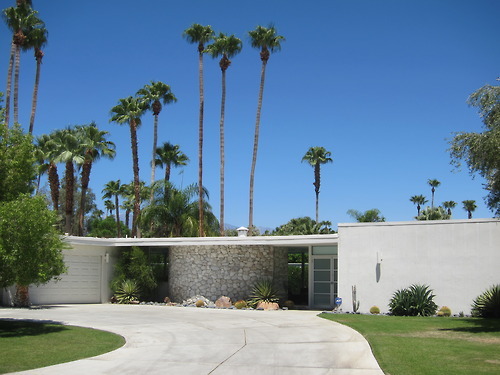 The homes are mainly in an architectural style called Desert Modernism which took advantage of the sunny skies and arid desert. It featured expansive glass and streamlined design. 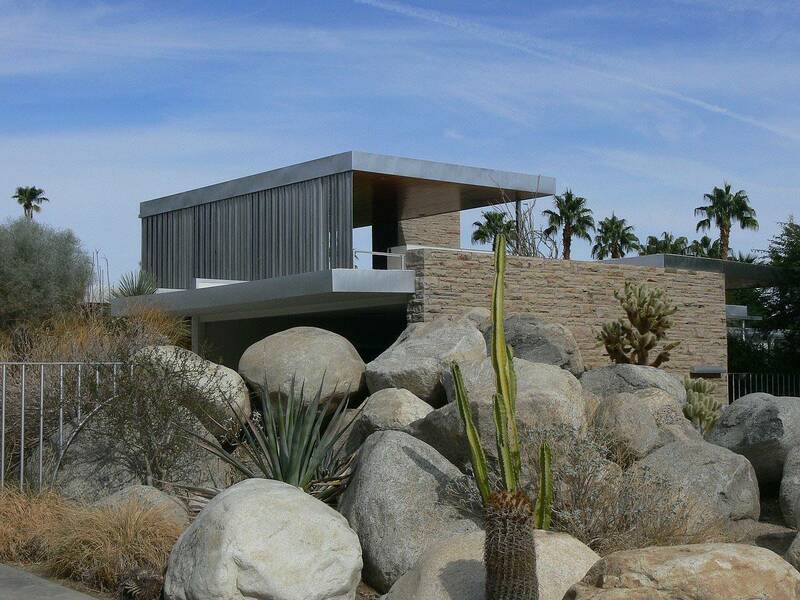 The landscape, including rocks, palm trees and the like were often incorporated seamlessly into the design of the house. 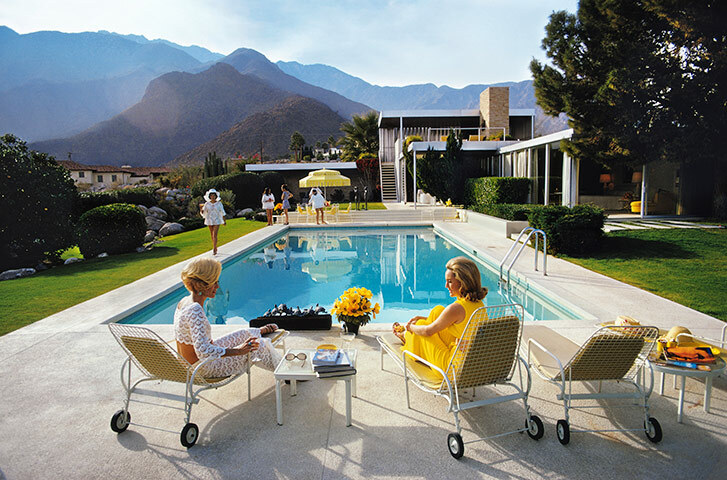 The Kaufmann house as photographed by Slim Aarons. 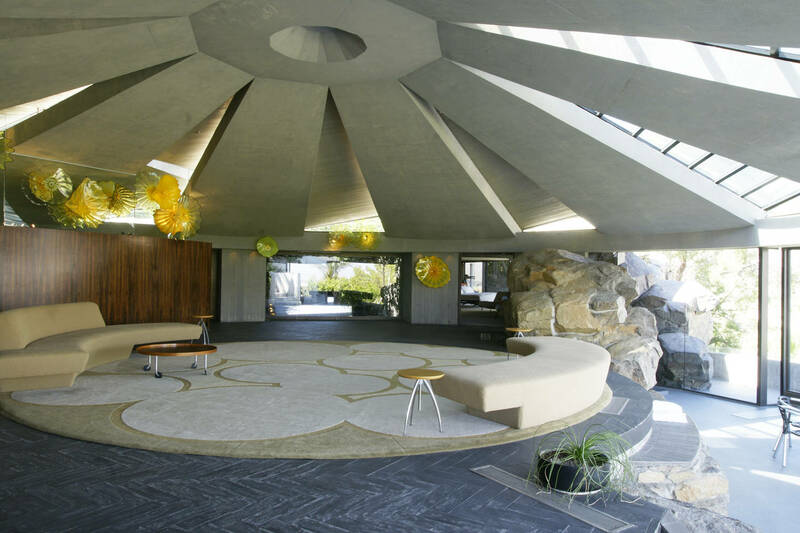 The Jetsons-like Elrod house. Amazing! A perfect example of the flat roof and streamlined design. I love the way the desert is perfectly framed in the background. 6 steps to not looking hideous. Oh I love how you help us dare to dream Chrystal! Nice selection of houses. There’s a great book called Case Study Houses that documents modernist architecture in the States in the postwar period. Have you come across it? By the way, I came across your blog through the WordPress dashboard. Surprising to learn you’re in Australia too! Small world. Good to know how people stumble across my blog. And yes it is a small, small world! No to the ciggy but OOOOHHH YES to the rest. Just booking an October break there now.